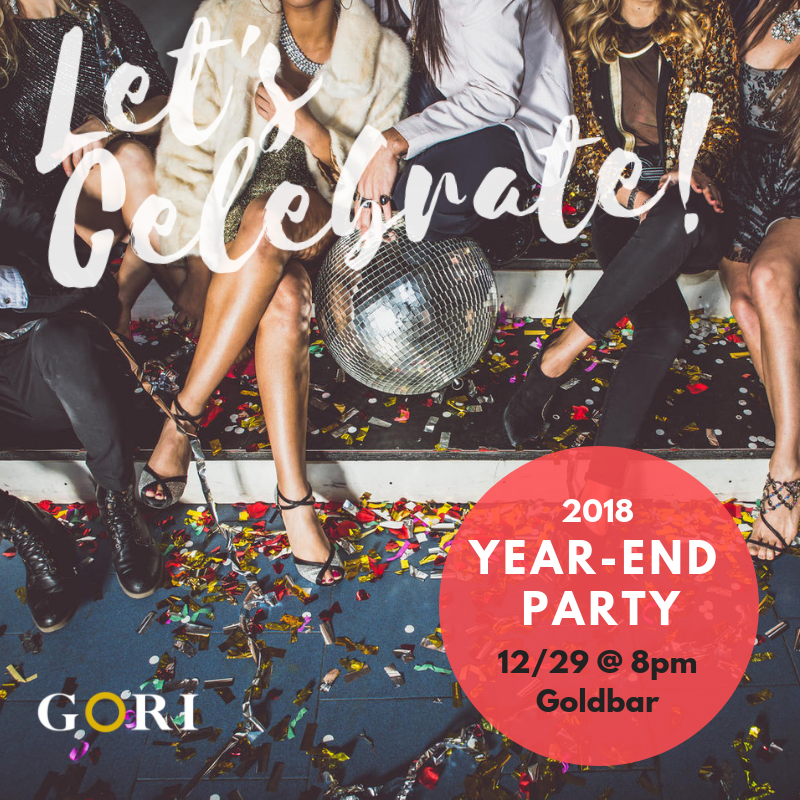 With the holiday season in full swing and the year coming to a close, you are invited to our finale event of the year - GORI's 2018 Year-End Party on December 29th at one of our beloved venues, Goldbar (featured as one of the world's best bars). Spend your evening with us and mingle with new and old friends, network, and most importantly, have fun - you deserve it. We are featuring a Selfie Station and anticipating a special appearance from Santa Claus. We started with BANG, let’s end with BANG. [Special Program] Find Santa Claus! 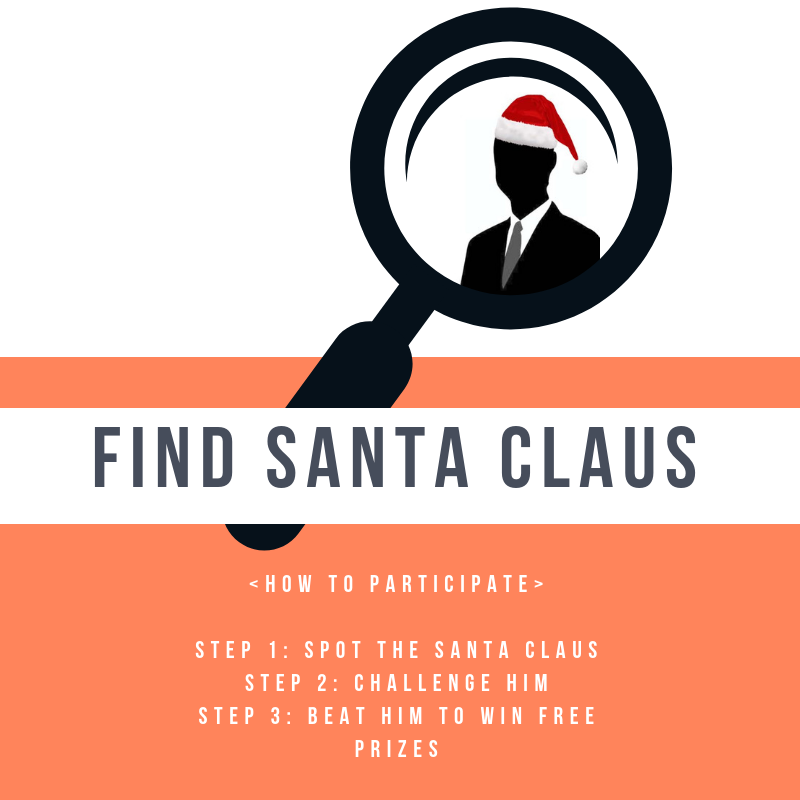 Find Santa Claus, and challenge him in a game to win free prizes! Step 1: Spot the Santa Clause (Hint: He can be identified with red Santa Claus hat). Step 3: Beat him in a game to win free prizes! Dress to impress at the GORI Year-End Party! We are selecting the best dressed female guest and giving away this special evening dress from Adrianna Papell, originally retailed at $200. We will have a selfie station with lots of holiday props! Make special memories with old & new friends.